The PLANTRY prides itself on providing our residential customer with exceptional personal service. Our staff understands that your home is an extension of your personal style and taste. 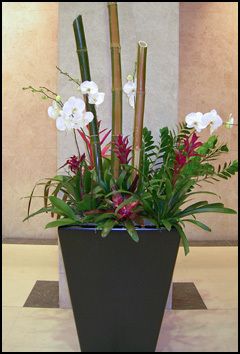 Finding the right plants and containers with just the right placement are what makes them unique to you and are one of the main focal points of your home. The PLANTRY has residential customers throughout San Diego county including La Jolla, Del Mar, Rancho Santa Fe, Escondido, Oceanside, Coronado and Downtown. We understand the importance of trust, security and relationship required. Good customer relations are paramount to our success and essential to our business.